What struggles do wrongfully convicted people face even after they are set free? 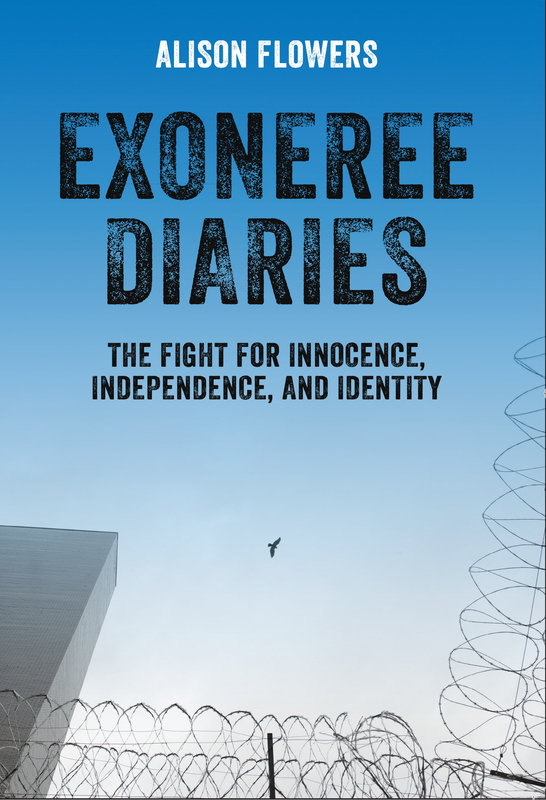 Investigative journalist Alison Flowers paints a vivid picture of life after imprisonment in Exoneree Diaries, in which individual people’s stories expose the deeper problems of mass incarceration and the criminal legal system. Click here to order the book from Truthout! In the world of prison-related advocacy, “innocence” is held up as a thing apart: Even politicians who heartily endorse mass incarceration won’t usually admit to wanting wrongfully convicted people locked up. The stories of exonerations are often told as fairytales, with the person who was wrongfully convicted — for years, sometimes for decades — walking out of prison and into the sunset, headed for an inevitably happy ending. Media accounts of these exonerations often gloss over or ignore the long years of pain and trauma endured behind bars. And they almost never discuss what comes next: How do those who are exonerated after many years in prison piece together a new life path? Moreover, what can these stories tell us about everyone else who is imprisoned? Those who have been belatedly found innocent are said to be “unjustly incarcerated,” but if we look at the realities of incarceration — including its roots in slavery, Jim Crow, colonialism and exploitation-driven capitalism — we must acknowledge that, in one way or another, everyone is unjustly incarcerated. And, since the vast majority of incarcerated people are eventually released, all must forge a new road forward in a society that does not welcome them, and often actively shuns them. When I met journalist Alison Flowers a few years ago, I was struck by her deep, nuanced analysis of exoneration. Her book, Exoneree Diaries, is a revealing and compassionate look at the brutal truths behind the release of exonerees from prison. In reality, exoneration is never a purely happy ending — not after a human being has spent years locked in a cage. Plus, as Flowers shows us, the experiences of exonerees exiting prison provide a window into the experience of “reentry” more broadly. They bring to light the many ways in which our society abandons people, not only by depositing them in prison, but again, upon releasing them into the outside world. Maya Schenwar: Your book is different from a lot of stories we hear about exoneration. Generally, innocence narratives tend to focus on the process of the state discovering the person is innocent, up until their release. In Exoneree Diaries, you focus a lot on what happens after exoneration occurs. What prompted this choice? Alison Flowers: I decided to explore this question when I was working at an innocence project at Northwestern University. It hit me one day — while we were working hard to uncover new evidence to free people from prison — what actually happens when these people are finally free? There was already some awareness around the challenges formerly incarcerated people face on the outside, but the Hollywood narrative around overcoming a wrongful conviction had created a media myth that release from prison is a happy ending in these cases. It isn’t an ending at all. It’s only the beginning of another set of struggles. What are some of the specific difficulties exonerees face upon leaving prison, as they attempt to rebuild their lives in the outside world? For starters, when you exit prison as an exoneree, you leave empty-handed. There is no immediate relief or compensation, so you don’t see a dime, not even a bus pass. There are no social services, no medical help, no counseling. Your criminal record is not automatically expunged, so finding work is difficult. Like anyone else who has been incarcerated, your family life can be fractured. After a long incarceration, many of your family members may have died or moved on, your spouse probably divorced you a long time ago and your kids don’t really know who you are anymore. Depending on where you live, your state may not compensate you. About 20 states still do not have laws to compensate the exonerated. And even if you do live in a state with a compensation statute, that means you have to undergo another, often adversarial process to prove your innocence to the court to qualify for relief. Suing officials for misconduct is pretty rare and difficult. Those multimillion dollar settlements that you hear about on the news are won by the few. You’ve written about how women often get left beyond in exonerations, and I think it’s so important that you included the story of Kristine Bunch, an exonerated woman, in your book. What unique challenges did Bunch face throughout her exoneration process and upon release? 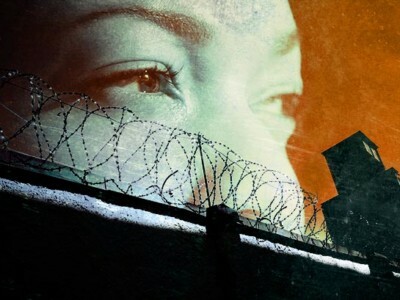 Women exonerees face a unique set of challenges after their release. More than 40 percent of these women were convicted of harming or killing a child or loved ones under their care. Often, it is their own child — a horrible, parallel tragedy that Kristine Bunch experienced. Kristine lost her three-year-old son Tony in a home trailer fire. Within hours of her son’s death — her hair was still singed and her nose was blistered from the flames — investigators tape-recorded her first statement from a hospital room. That night she walked barefoot to the sheriff’s office for more questioning because she had lost all her shoes in the fire. Kristine was convicted on falsified arson evidence and bad fire science. When Kristine was sentenced, she was pregnant with another son. The judge who sentenced her accused her of becoming pregnant to gain sympathy as well. And when she gave birth to that son, she would have been shackled had her doctor not intervened and [forbidden] it. Seventeen years later, she was free — and her second son was almost a grown man. The night of her release was the first time she got to watch him sleep at night, as any mother longs to do. I think people often see exonerations as the result of accidents, basically, in which the police or prosecutor or jury made an innocent mistake. But Exoneree Diaries (particularly the afterword) points to the fact that sometimes, there’s intentional wrongdoing happening, on the part of police and others. Can you say a bit about this? It’s staggering how often this happens. Official misconduct contributes to more than half of all known exonerations. This is deeply entwined in issues of race and privilege, as well as the gamesmanship of the courtroom, where the state wants to win rather than be right. Despite the devastation this causes, police and prosecutors are rarely held accountable for even intentionally framing people. Exoneree Diaries makes clear that flinging people out into the world without support after they’ve been exonerated is not the way to go. What are some measures that should be put in place for those exiting prison after exoneration? Four wrongfully convicted people’s stories and struggles, as told to Alison Flowers. There must be immediate resources for exonerees upon release: food and housing, medical, dental (prison dental care pretty much consists of pulling problem or painful teeth, if at all) and counseling. The process to compensate them should already be underway. All states need to provide relief, not only for the lost years behind bars, but for the years to come. Most of all, exonerees need accompaniment. They need someone to help them navigate the world, from the bureaucracy of getting a state ID to learning technology. One terrific organization for exonerees is After Innocence, which helps fill the aftercare gaps. It operates with tremendous compassion and fierce advocacy for exonerees. They’ve helped hundreds find their way. As you mention, when we discuss the transition to society of those who’ve been exonerated, it raises the issue of all the others coming back to the outside after being behind bars. How do the stories of exonerees’ returns relate to the larger story of the 636,000 people released from prisons each year (not to mention the 11 million people cycling through county jails annually)? Exoneree Diaries is a hook to help people care about the larger criminal justice issues we face as a society. The four exonerees profiled in my book make a powerful case for how the system not only fails, but is designed to fail. It calls into question the legitimacy of our way of doing justice. It’s easy for people to empathize with people who were sent to prison for something they didn’t do. But what about their brothers and sisters still behind bars? As Steve Bogira, one of my book reviewers who wrote Courtroom 302 so beautifully put it, too few are ever exonerated of being born into deprivation, which is what lands most people in prison in the first place.